Muchas relaxation. All photos by Victoria Lewis. Quaint, cute, colorful, and operating under the radar — for now. 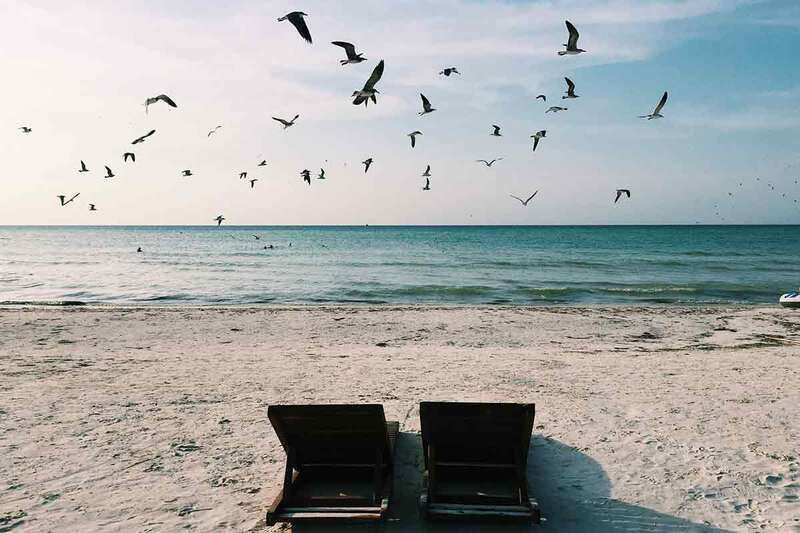 Could Isla Holbox be your new Tulum? Victoria Lewis checks out the scene (from a hammock). 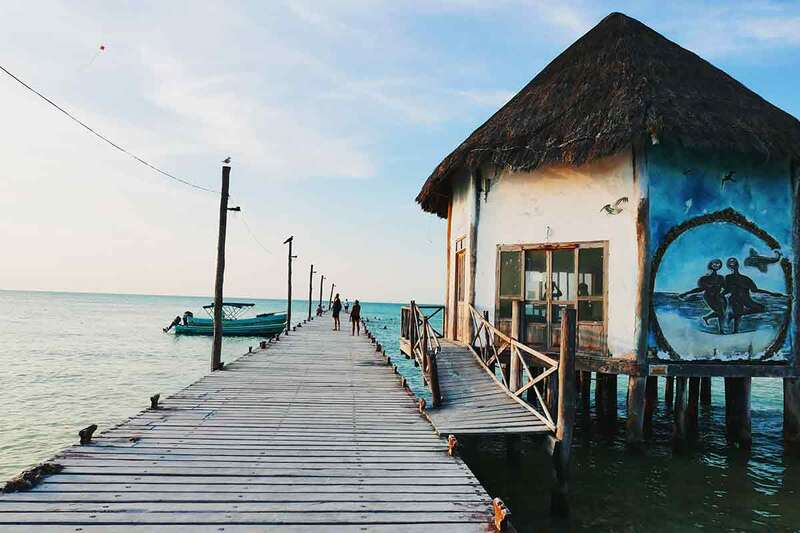 To get to the enchanting little island of Isla Holbox, you fly to Cancun, drive two hours north on nearly deserted highways, and then take a slightly shaky ferry ride (during which, if you’re lucky, little old mariachi men or dreadlocked Rasta dudes will serenade you with some tunes). Once there, you’ll be rewarded with white sand beaches, warm aquamarine waters, a wildlife-rich biosphere reserve, and (most importantly) a relatively small number of tourists. You’ll throw your bags onto a souped-up golf cart (cars aren’t allowed on the 26-mile-long island) for a quick ride from the ferry stop to your hotel. You want that hotel to be , a 23-room dream with prime beachfront real estate within easy walking distance of the colorful town. Owned by an Italian fashion industry exec and her pro kitesurfer husband, Casa Las Tortugas is unquestionably the best place to stay on the island. The décor is thoughtful (incorporating many textiles and decorative pieces made by local artisans), the rooms are spacious and comfortable (there’s even A/C! ), and the restaurant and beach club serve some of the best food and drinks on the island. But I think what it eventually comes down to is just really good vibes. By all means, just sit around. There’s a pretty, tree-lined pool for those who prefer to indulge in a freshwater dip. But the beachfront is really where it’s at. Stake your claim on a comfy beach chair or day bed early in the morning and it’ll be yours for the day. Isla Holbox’s ocean is crazy calm and the water is super shallow, making it essentially one very beautiful bathtub. When you get hot, flag down one of the guys who walks the beach selling ice cold coconuts. The spa offers mornng yoga classes and divine holistic treatments using natural ingredients like honey, papaya, milk, and mint leaves. There’s a little boutique in the lobby (a larger one in the works next door). A lovely local artisan comes each day to sell her beautiful embroidered tops and dresses. The restaurant, , serves breakfast, lunch, and dinner. The indoor/outdoor space is all white-washed and perfectly beachy. Breakfast options range from indulgent huevos rancheros to lighter tropical fruit plates. Lunch and dinner are a combination of Mexican specialties and Italian options (oddly, you’ll find more Italian food on the island than traditional Mexican), and all of it is delicious. For sunset, head to the second story sushi bar (right above the restaurant), where you can order happy hour sushi rolls and dangerously good cocktails. Eclectic digs in the spa/yoga room. You’re not exactly meant to be spending the large part of your days in bed here, so rooms are basic in the sense that you won’t find TVs or other bells and whistles. However, by thatched-roof-palapa hotel standards, this place is luxe. You’ve got air conditioning in every room, consistent power and hot water, and totally functional (if not ultra fast) WiFi. Plus, each room comes stocked with ecofriendly toiletries. The second-story ocean view rooms are my favorite because they have private decks hung with colorful hammocks for sunset viewing. 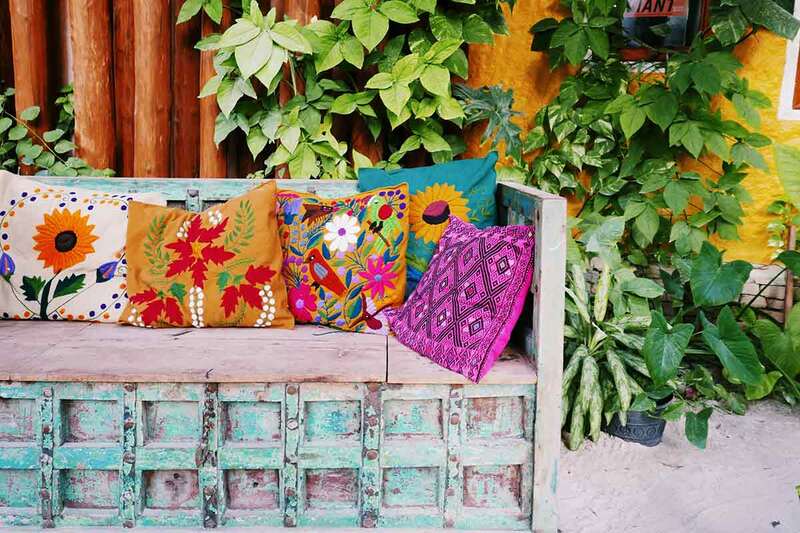 Those who want the laid-back, shoes-optional vibe of Tulum, without the risk of running into anyone they know. Anyone looking for the resources of a mega-resort. There’s no fitness center or room service here. Things happen at their own pace, which is part of the charm. 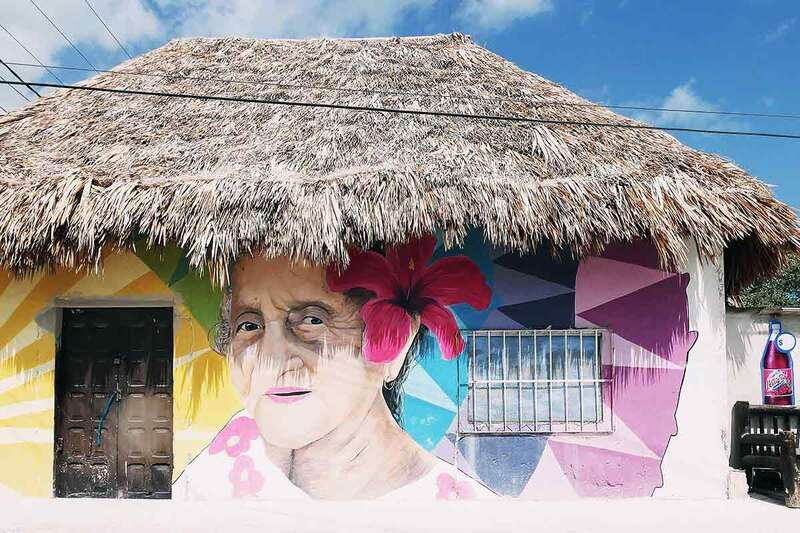 There’s absolutely zero “scene” to be found on Isla Holbox, so it’s not an ideal spot for those looking for a wild night out. Even a stroll through town feels celebratory. 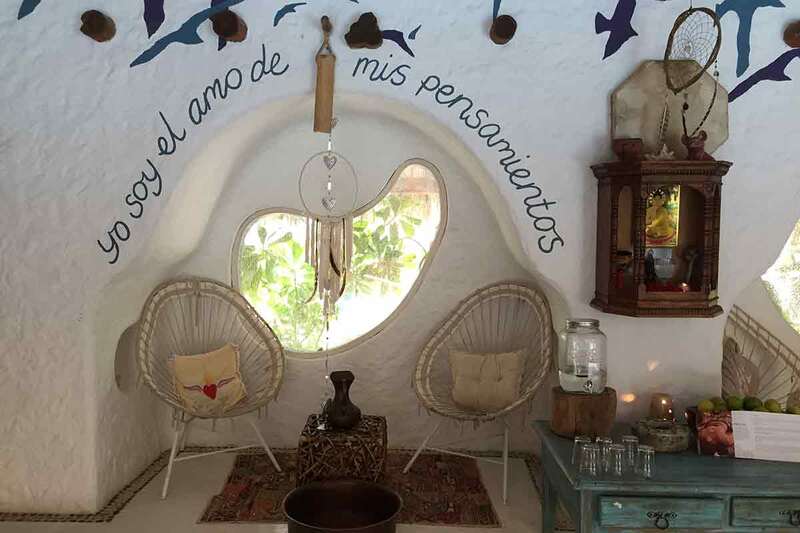 Part of the appeal of Isla Holbox is the fact that you can spend a week there and do absolutely nothing. However, if you’re the kind of person who craves activities, there are plenty of things to keep you busy. 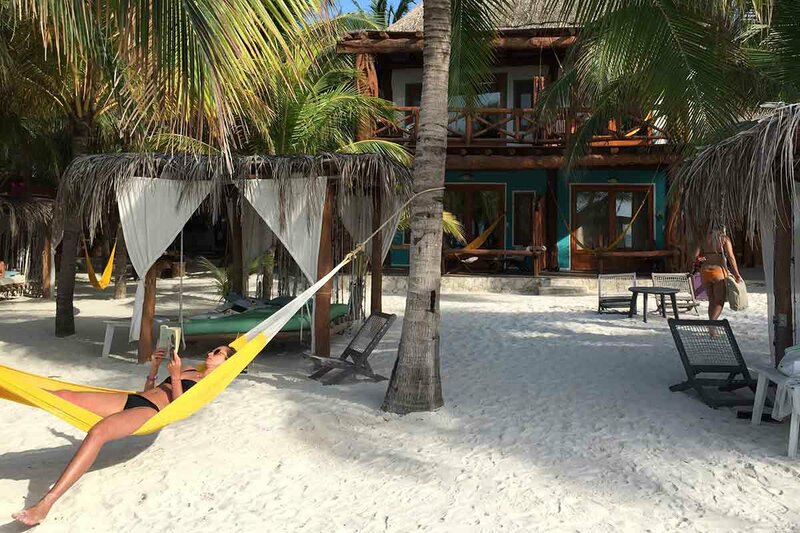 , located steps from the front door of Casa Las Tortugas, offers lessons and excursions for beginners and pros alike (Holbox is a famed kitesurfing destination). For the less extreme, you can also rent stand-up paddleboards and cruise around calm waters. During the summer months (late May to early September), you can snorkel or scuba dive with gentle giant whale sharks (the largest fish in the world). Most of the island is a nature preserve, so you can also rent kayaks and paddle through the island’s mangrove-lined river in search of crocodiles, manatees, flamingos, and other animals. Fishing and horseback riding are other active options. Sit yourself down with a fresh fruit smoothie from La Isla del Colibri. At least once, rent bikes or a golf cart and drive the length of the island. Head to Punta Mosquito or Punta Coco (beaches at either end of Holbox) and you’re likely to have the sand entirely to yourself. For breakfast, venture to casual for life-changing chilaquiles, or colorful for huge, fresh fruit smoothies. Later on, try brand-new Milpa (Calle Palomino S/N). 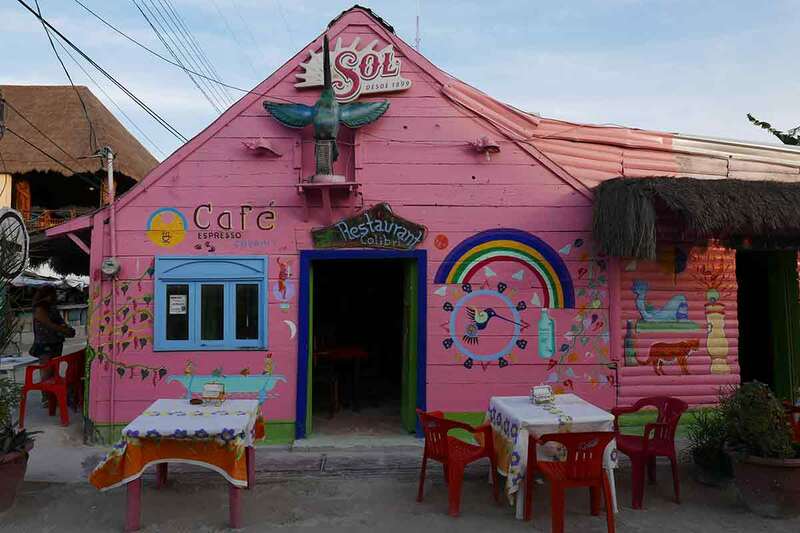 Oddly, Holbox has an inordinate number of pizza spots. Just go with it. Hornito Argento (10 Calle Tiburon Ballena) is the best of the bunch. If you want something a bit more upscale, the restaurant at nearby serves sophisticated Cuban and Mexican fare in a beautiful setting. Excellent mojitos too. 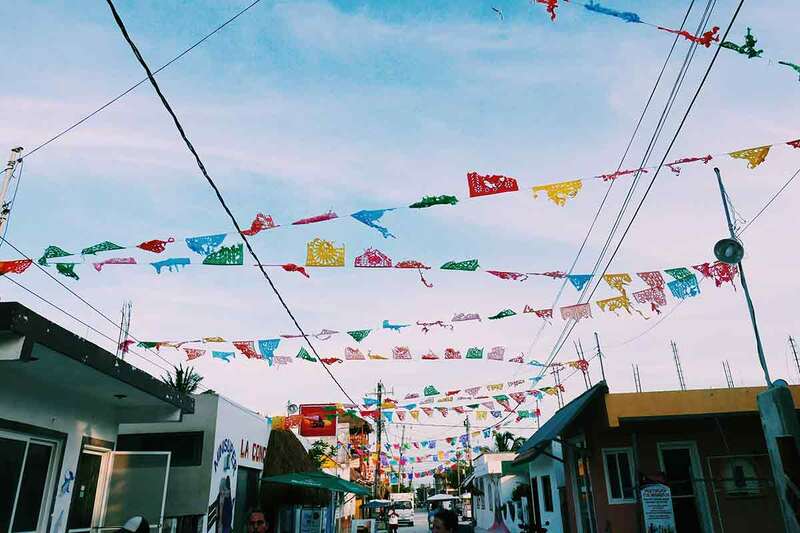 Before or after dinner, take a stroll around the town’s main square to see children playing soccer and street vendors selling tasty looking tacos. Stores stay open late in Holbox, so you can do a little post dinner-shopping, too. Take home a colorful hand-woven hammock or a beautiful handmade dream catcher. Cancun International Airport is about two-and-a-half hours away (by car ferry). The hotel can arrange all your transportation. There are no cars on Holbox. You can rent a golf cart from many local vendors when you arrive if you’d like. But, with the hotel's central location, it’s not hard to walk everywhere you want to go. A Standard room starts at $165 per night. or the Popupla Travel Concierge and let us plan the whole trip.